How do we love casseroles? Let us count the ways! They are quick and easy to prepare, portable for potlucks and other gatherings, satisfy the hungriest crowd, can be made ahead, save time on clean up, and are hands-down the most comforting dish to dig into. Every Southern cook has a favorite go-to casserole recipe, but there is always room for more. Choose from dozens of our best quick and easy casserole recipes including classics like King Ranch chicken, lasagna, potpies, and enchiladas, and new favorites like tomato and ground beef, and chicken-sausage cassoulet. Whether you’re looking for a quick weeknight dinner that will please the whole family or a company-worthy casserole for a special gathering, you can’t go wrong with any of these delicious recipes. With fresh broccoli and a mix of mayonnaise and sour cream instead of mushroom soup, this broccoli-and-cheese casserole is sure to fit right into any dinner spread. Less than 25 minutes of hands-on prep time? Sounds like we found our new ground beef go-to on weeknights. Turn your favorite soup into a more substantial dish with this comforting casserole. We meant it when we say this casserole is extra easy. With only five ingredients, you'll have dinner prepared faster than ever before. Pizza and spaghetti all in one dish? Now that's a surefire way to make sure the kids clear their plates. Sloppy Joes just got a little bit more sophisticated. 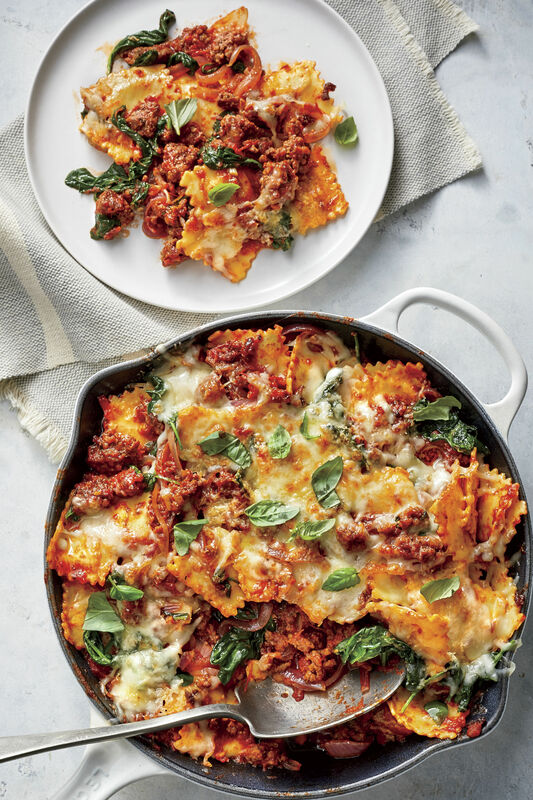 This pasta bake version of the old-school classic dishes out a sweet and savory blend of sauce and ground beef that will remind of you childhood. Two of our family favorites come together to create the ultimate crowd-pleasing casserole. To cut down on prep time, the recipe calls for a number of convenience products like pasteurized prepared cheese product and cream of chicken soup. With frozen vegetables and store-bought piecrusts on the prep list, this savory latticed casserole only looks time intensive. This gooey cheese and tender kale combination comes together in just half an hour. If you need to make things even easier, though, you can use pre-washed, pre-chopped kale and shredded cheese. The beauty of this casserole? Most of the ingredients are pantry staples that you probably already have, and, if you don’t, you can easily substitute with something else. Meet your new favorite way to use fresh zucchini. This vegetarian lasagna recipe is the perfect meatless main. 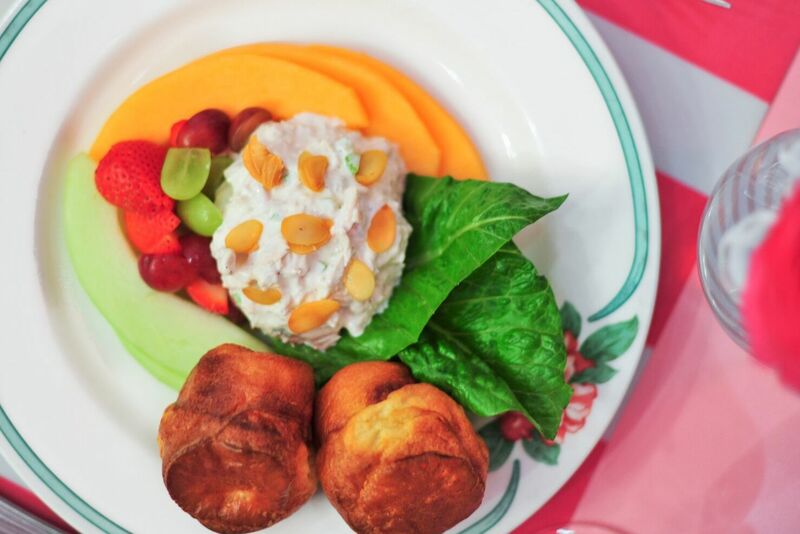 IThe old-school recipe takes down memory lane to Mama's kitchen table on any typical weeknight. Ready for weeknight meals or company, this Chicken and rice casserole is made in a skillet and sure to satisfy. Zucchini, squash, and corn blend together beautifully with a creamy filling that's topped with breadcrumbs and Asiago cheese. A regional rice delicacy delivered in a casserole dish, this flavorful recipe includes tangy tomatoes and smoky bacon. It's hard not to love breakfast for dinner. With all your favorite morning foods baked into one dish, this casserole has earned its spot on the dinner table. Faster than fast food and way more delicious, these cheesy enchiladas come together in a snap. A quick spritz of vegetable cooking spray adds extra crispness to flour tortillas as they bake. Forget flipping patties. Nothing says grade-A comfort food better than a bacon cheeseburger-inspired bake. Budget-friendly and filling, this comforting ground beef and veggie combination is sealed with a cornmeal crust. A Tex-Mex masterpiece, this no-fuss tamale casserole is a weeknight crowd pleaser. Here's proof that comfort food doesn't take all day to prepare. With rotisserie chicken, canned sauces, and shredded cheese on the ingredient list, this weeknigth casserole is almost too easy. Don't be mislead by the term "new." This update on a tried-and-true classic still hits all of the creamy, cheesy, and crunchy notes of the original. Baked ziti has never looked better. Served with sliced summer vegetables mixed in, you're sure to make the most of your farmers' market haul. Give your go-to lasagna the night off. This ground turkey, swiss chard, and shells trio only takes 30 minutes. Serve something with a little kick this season. This recipe will bring a welcome change from standard fare. Pick up a deli-roasted chicken if you don't have 3 1/2 cups of chopped chicken on hand. It yields just enough meat for this recipe. Also plan to make Chicken and Cornbread Casserole just one day ahead because it doesn't freeze well. Turkey Pot Pie With Cranberry-Pecan Crusts features turkey tenderloins, caramelized onions, and fresh spinach for the perfect sweet/savory combination. This recipe can be made-ahead and frozen. We guarantee this zesty casserole will be your new weeknight staple. The recipe was originally designed to utilize leftover ground beef and sausage. It makes a lot, but refrigerates well and tastes wonderful reheated. Buttery cubes of sourdough rolls make a quick and crunchy topping for this speedy twist on chicken pot pie. If you think cutting calories means giving up the foods you love, think again. This top-rated makeover is every bit as creamy and satisfying as the full-fat original. This homemade baked macaroni and cheese recipe beats the boxed kind any day of the week. For a divine main dish, stir in chopped cooked ham before baking, and then sprinkle top with chopped cooked bacon before serving. The convenience of refrigerated piecrust makes this deep-dish favorite easy enough for a weeknight. If you don’t have time to simmer a whole chicken, just substitute an equal amount of canned broth and the meat from a rotisserie chicken. Loads of spinach and mushrooms freshen up this classic. A creamy mix of chicken, spinach, and mozzarella turns manicotti shells into an impressively easy one-dish meal. Garnished with sliced radishes, jalapeños, and cilantro leaves, this Mexican casserole adds a whole new twist to traditional collard greens. It can stand on its own as a vegetarian main, but also pairs well with just about any weeknight protein. Tasty any time of day, a middle layer of creamed spinach makes this skillet casserole great for breakfast, lunch, or dinner. This vintage casserole is one of our make-ahead supper staples. Once you've assembled and chilled over night, this simple recipe is just a bake away from the dinner table. Spoon into the cornbread crust to find white beans, chicken, and sausage simmering in a mildly spicy sauce in our Sausage-and-Chicken Cassoulet. Add a side salad of romaine lettuce, shredded carrots, and French dressing. Stock your freezer with this A+ chicken-and-rice casserole, and you have dinners ready to bake. For a family, divide mixture into three 8-inch square baking dishes. (To keep a big casserole on hand for potluck suppers, place the mixture in a 4-quart dish.) If you're short on baking dishes, use foil pans, which also allow for easy cleanup. Italian-inspired Chicken 'n' Spinach Pasta Bake is perfect for company. But it’s also speedy enough for weeknight meals. This hearty casserole isn't light on flavor. Once the potatoes are roasted, it comes together in a jiffy. Our King Ranch Chicken casserole is a true Tex-Mex MVP. 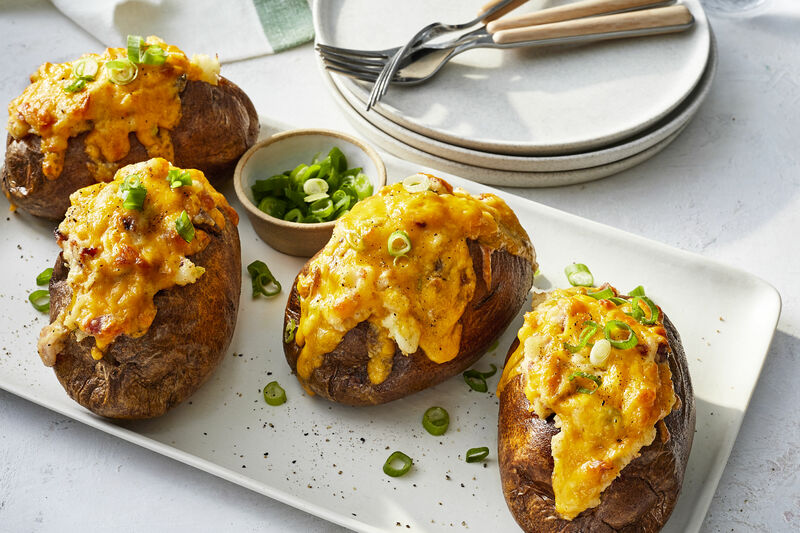 The cheesy Mexican dish blends smoked chicken, sharp Cheddar and Monterey Jack cheeses, green chiles, chili powder, roasted peppers, and toasted cumin.